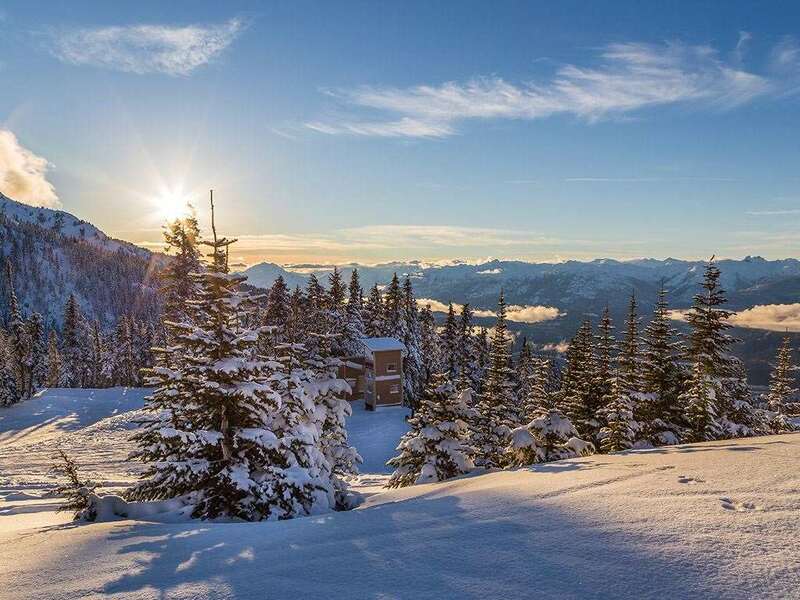 The Crystal Lodge has been one of the most popular hotels in Whistler for quite some time. The location is superb - in the heart of Whistler Village and just steps from the Whistler and Blackcomb gondolas, so you can ski back to the base from either mountain. What's more, the hotel has continued to exceed expectations by having recently undergone extensive renovation to their South Wing rooms and public areas. This transformation has given the rooms a complete re-design with clean lines and cool decor to complement the stunning mountain scenery. There's LED lighting, flatscreen TVs and even the hotel's signature deep-soaker bathtubs in the bathrooms. After the mountain has got the better of you, you can unwind in the large outdoor pool, or relax muscles in the sauna and hot tub. If you're up for a bit of retail therapy, or are feeling peckish, the Crystal Lodge has over 20 onsite shops and restaurants, including the Spaghetti Factory, Beacon Pub & Eatery, Basalt Wine & Salumeria and the Wild Wood Pacific Bistro. There's often complimentary hot chocolate or cider in reception, and to make things even better, customers will receive a Crystal Advantage Card on their arrival, which gives discounts in 22 local shops and restaurants. Location: In the heart of the village centre, 2 minutes’ walk (200m) from the lifts. All rooms have a bathroom with private bath, shower and WC; bathrobes, coffee/tea making facilities, iron/ironing board, mini fridge, hairdryer, free high speed WiFi, flatscreen HD TV with pay-per-view movies and telephone. Please note: No roll away beds or extra beds are available at this hotel - bedding is exactly as per description. Cots are available but must be requested in advance. Small double room - sleeps 1-2: One double bed, limited view or no view, one full bathroom with deep soaker tub, mini-fridge, coffee maker and kettle. Recommended for couples and singles only. Crystal king room - sleeps 1-2: One king bed and views of the village or surrounding area, one full bathrooms with deep soaker tub, mini fridge, coffee maker and kettle. Crystal double room - sleeps 1-4: Two double beds and views of the village or surrounding area, one full bathroom with deep soaker tub, mini fridge, coffee maker and kettle. Optional upgrade to B&B, with set-menu breakfasts taken in the Wildwood Pacific Bistro - set-menu breakfast can be exchanged for a credit towards the a la carte breakfast menu. The price shown includes 10 nights accommodation, with flights from Heathrow.